In this guest post, Al Simon, Founder of Cloudwater.com and ChiFusion sums up the concept of the “individual” in regard to Tai Chi and Qigong perfectly. Take a read through and let me know what you think. On the private support forum for our students and instructors, we’ve recently been discussing one of the “big concepts” to get when learning Tai Chi and Qigong. This concept is especially true when learning kinesthetically, as opposed to just learning choreography like you do in many Tai Chi programs. 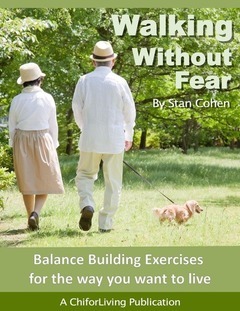 Each person’s experience with these exercises is unique. The exercises will “do what is right” for each person, rather than give each person an identical experience. This is a really difficult mind-set to get, because an overwhelming majority of Tai Chi programs, health programs, diet programs, etc. are cookie-cutter, one-size-fits-all programs. Everyone who takes the “same” program expects the “same” results. It may also be counter-intuitive. If you and I are doing the same movements, you’d expect them to do the same things to each of us. The big variable here is our bodies. For example, while superficially similar, our internal organs function quite differently. Your liver does not work identically to anyone else’s on the planet. Your heart doesn’t either. And your internal body chemistry will be different. Your body processes food, processes oxygen, and releases chemical hormones different from anyone else’s. Because of this “big variable”, it’s not unusual for Tai Chi, Qigong, and Chi Development programs like ours to have OPPOSITE effects in different people. For example, a while back one of my students asked me about dopamine production in Qigong for Parkinson’s patients. Dopamine is a neurotransmitter chemical produced by the brain. It’s required for the health of the nervous systems, and influences our thoughts and feelings. Parkinson’s patients are sometimes found to have a deficiency in dopamine. Interestingly enough, I’ve found teachers that say Qigong increases dopamine, and teachers that say Qigong decreases dopamine. And it’s very possible that it does BOTH – depending on what the individual needs. A lot of this has to do with PNI – psychoneuroimmunology. This is the study of how our brain and nervous system affect the release of hormones and chemicals, specifically for our immune response. Dr. Robert Anton Wilson pointed out that the PNI systems in the body are much more “quantum-like” in their reactions to mind-body therapies. In other words, during mind-body practices like Qigong, the PNI systems will do what’s needed (e.g., increase dopamine if needed, or decrease it if needed, and may even switch from time to time) rather than behave in a consistent fashion. And that’s part of the problem with using medical studies to “validate” mind-body therapies. Medical studies look for consistency in reaction across a variety of patients, not individualized reactions. If a medicine or therapy produces the same reaction in a significant number of people, it’s often looked at as a “good” medicine/therapy. But if it doesn’t produce the same reaction, it’s often looked at as “not good”. In medical studies, “repeatable” is what is valued, and “uniqueness” is not. But in our Tai Chi and Qigong, “uniqueness” is what is valued. I think that’s one of the big things to get about Tai Chi, Qigong, and health – that they produce individualized reactions. And that, as students and instructors, we need to CAPITALIZE on this fact. I would say that this is where cookie-cutter, “one-size-fits-all” Tai Chi and Qigong really misses the boat. It doesn’t capitalize on the power of individual reactions. That’s why I’ve dedicated myself to providing students and instructors with the opportunity to learn a “customized” approach to Tai Chi and Qigong. A customized approach use the power of Tai Chi and Qigong to create individualized reactions to its full advantage. The mind-set to get from all this is that you need to do these practices, check YOUR experience, see the results YOU get, and not compare them to the experience of others. Even the student standing next to you, doing exactly the same practices, will have a totally different experience from you! If you get-together and “compare notes” with other students and instructors, expect more differences than similarities. No one else’s experience should be used as the criteria. The only criteria – does the experience bring YOU the results YOU want!